Introduced in field trials completed in early 2018, the BrightSpec Discovery MRR Diastereomer/Enantiomer Analyzer is for chiral and diastereomer process monitoring. It uses a Fabry-Perot cavity for enhanced sensitivity in targeted monitoring. Sample introduction is directly from a continuous synthesis manufacturing process, without prior sample preconditioning, drying or separation. Diastereomer and enantiomer quantification in 18 minute cycle times. The BrightSpec One MRR characterizes the chemical composition of complex mixtures. It rapidly delivers identification and quantitation, without the need for purification or separation. 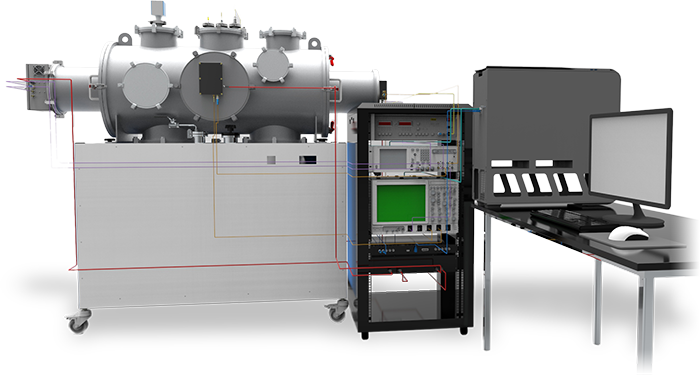 “Dirty” liquids, headspace samples, solids, and gas mixtures are volatilized using the BrightSpec HSM3 head space module, and introduced directly into the integrated sample cell. With high specificity and dynamic range, MRR identifies trace level sample components without risk of matrix interference. 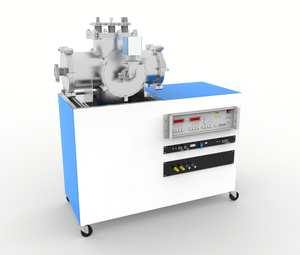 There are several sampling accessories for gas sampling, headspace analysis, thermal evolution of solids, and direct volatilization of liquids. (Again, no GC step is needed). Integration with an optional CTC-PAL3 autosampler enables walk-away operation and high sample throughput rates. Rapid data acquisition rates: Minutes for full spectrum to seconds for specific bands. BrightSpec Chiral Broadband is an MRR platform used to differentiate diastereomers in mixtures without preparatory purification or separation. Enantiomeric excess may be determined quickly and precisely. Operating in the microwave frequency range, and using pulsed jet nozzles to prepare rotationally cooled samples, this alternative to chromatography offers a combination of high-resolution, spectrally specific analyses for chiral characterization. The BrightSpec Discovery K-Band (18 -26.5 GHz) spectrometer is designed for both fundamental research and educational applications. 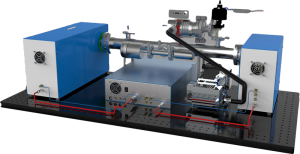 The reconfigurable Discovery form factor allows customers to integrate custom sample chambers, including pulsed and CW jet flows, for studies of complexes and transient species. The instrument is operated by a laptop computer, and includes BrightSpec Edgar software for experiment setup, data visualization and processing, and spectral library comparison. The instrument usability, capabilities, and cost make it suitable for incorporation into undergraduate teaching curricula. 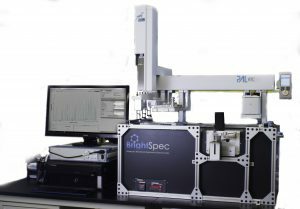 BrightSpec Discovery incorporates the same spectroscopic engine as BrightSpec One. The difference is in its form factor, with Discovery employing a modular design for increased experimental flexibility. It operates in identical fashion to the BrightSpec One, but can be combined with and networked to other analytical systems. This thoughtful approach to customization enables fundamental and applied research groups to quickly generate insights on complex processes.